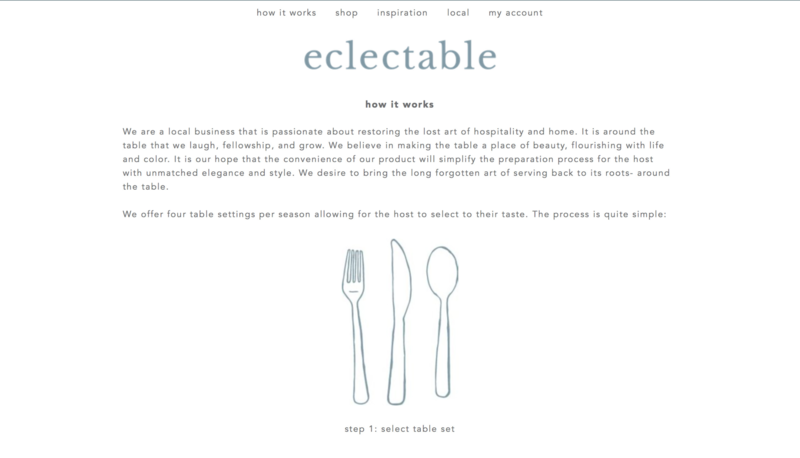 Eclectable is a web based company located in the Chicagoland area. 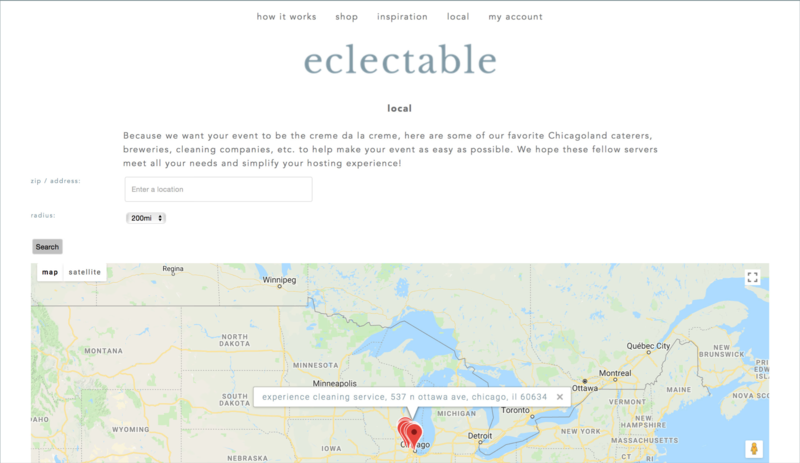 Here is how it works: to use, the host will go to the website and select the set of their preferred choice a week before their event. 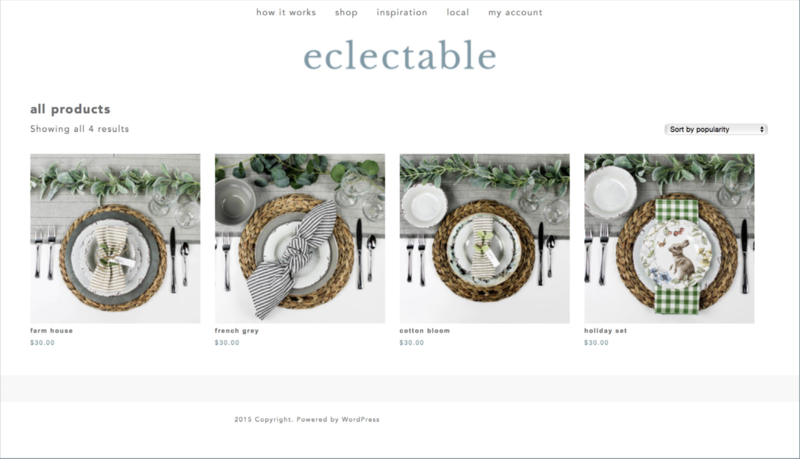 The set is then delivered by Eclectable in a wicker basket to the host’s home. Inside the basket, the host will find instructions on how to set the table in order to simplify their experience. Each piece is in a labeled and reusable bag. Once finished, dishes are rinsed, dried and placed back inside of the bags. 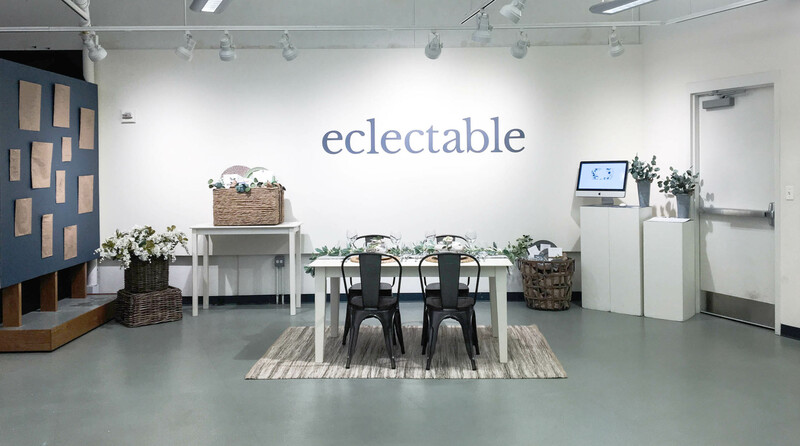 Eclectable will then pick up the basket the day after. 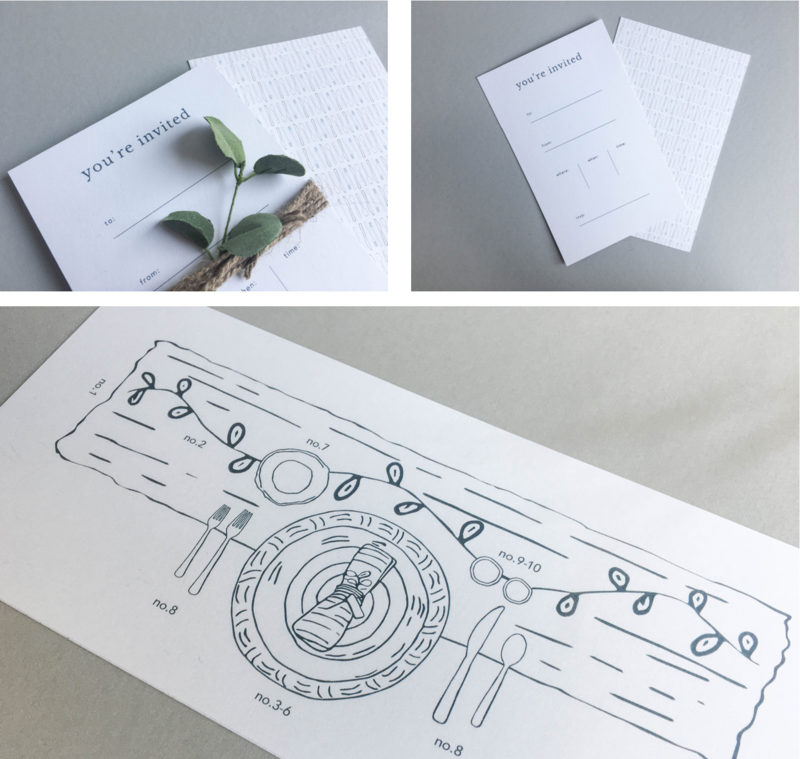 As a thank you for the purchase, the host will find a coupon and ten invitations inside the basket. 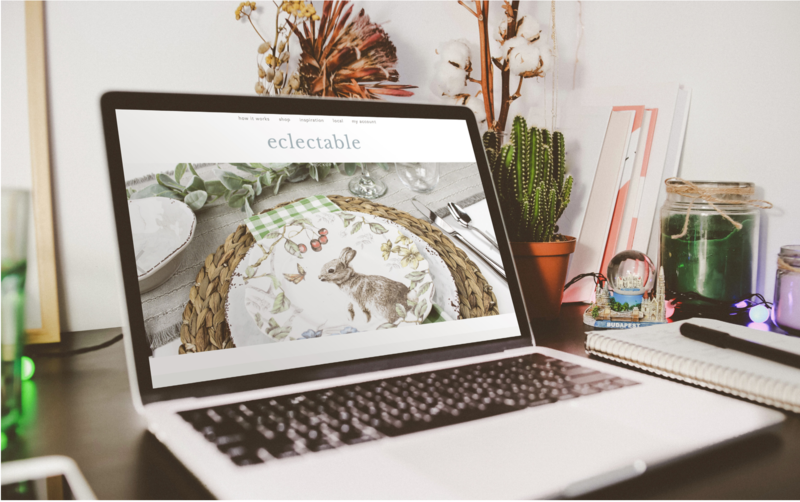 The hope is that through renting the table sets it will element the need to own multiple dishes. 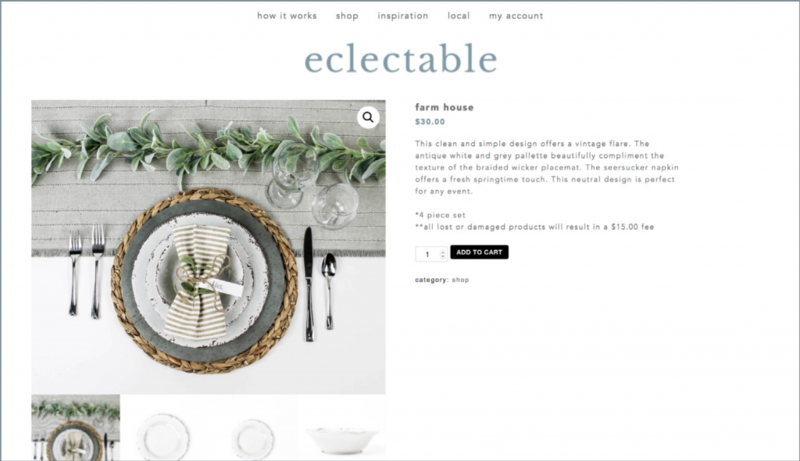 This then allows the less is more lifestyle desired by millennial today. 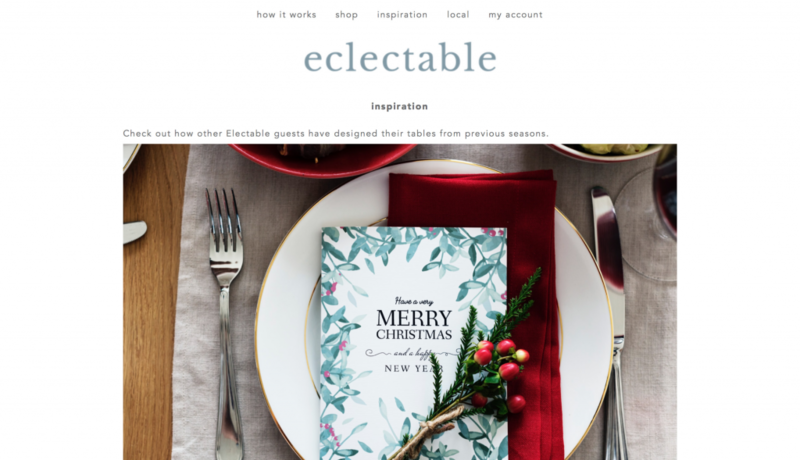 By using Eclectable, the host is able to have a table set that is aesthetically pleasing, easy to set up, and easy to take down without having to find the space and storage for it when done.